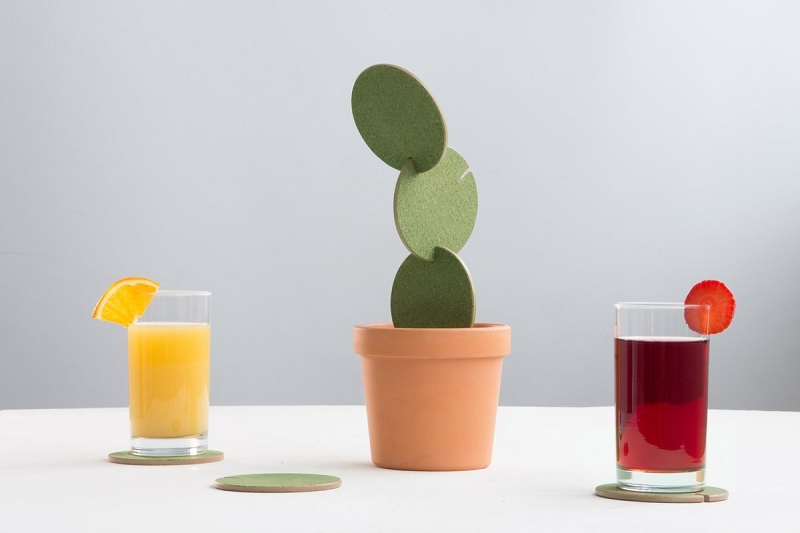 Create cacti out of interlocking drinks mats Coasters protect your surfaces and a cactus brightens up your home environment. Combine the two. 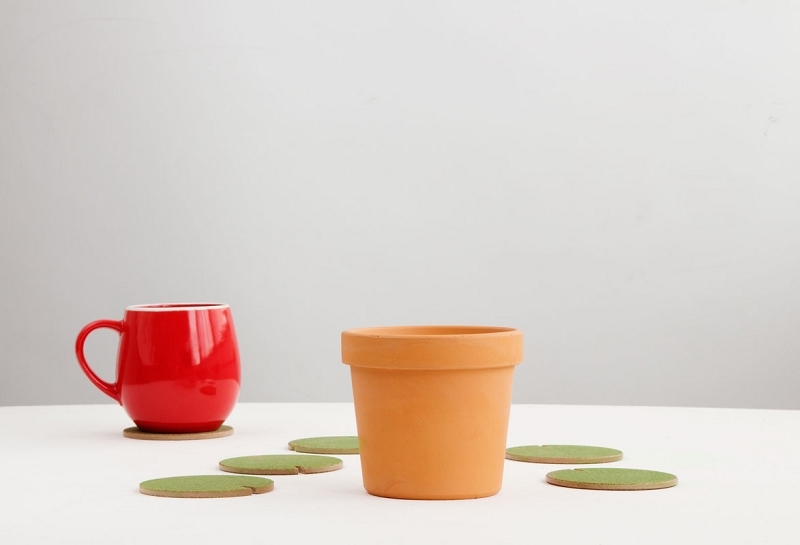 This plant sculpture is made up of coasters slotted together. Build and arrange your cacti in endless creative compositions. Dispense with the age-old hassle of storing your coasters in a drawer whilst you arenêt drinking tea. 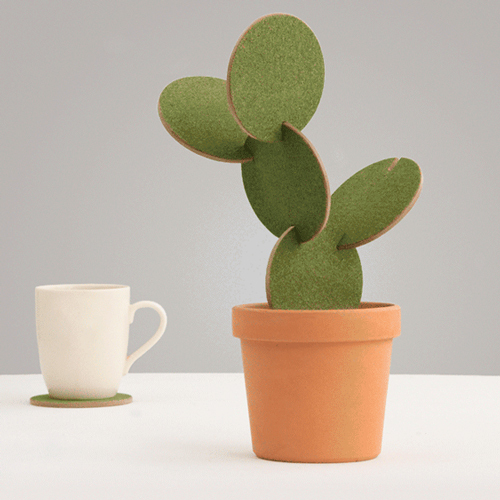 Cactus Coasters are useful and decorative in equal measure. Each set includes six cork covered wooden mats stored neatly inside a terracotta flowerpot, and a slotted lid. 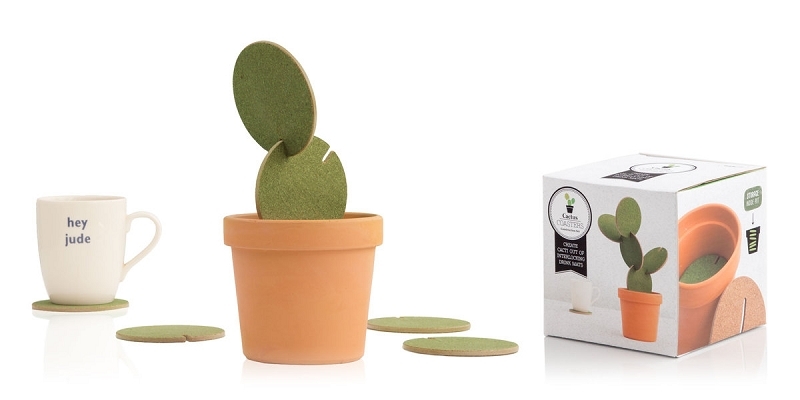 A creative gift for a thirsty plant lover.